After a light dinner downtown, we went to the sold out Dierks Bentley concert last night! SUCH fun! The show was awesome! 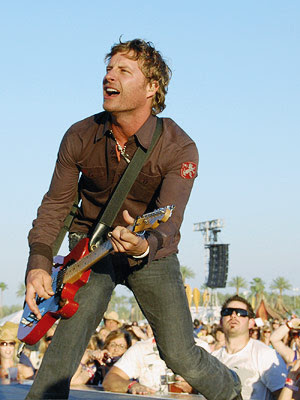 Dierks performed all his big hits, plus a couple of songs from Hank, Waylon, and Johnny. The show was at the Knitting Factory, just a mile and a half from our house, which was AWESOME! We enjoyed the opening band too, which isn't always the case. Deer in the Yard! Deer in the Yard!! Sunday: Road Trip Back to Boise! Saturday: The Big Birthday Party! A Quick Trip to Longview! Ground Broken on Bathroom 2!